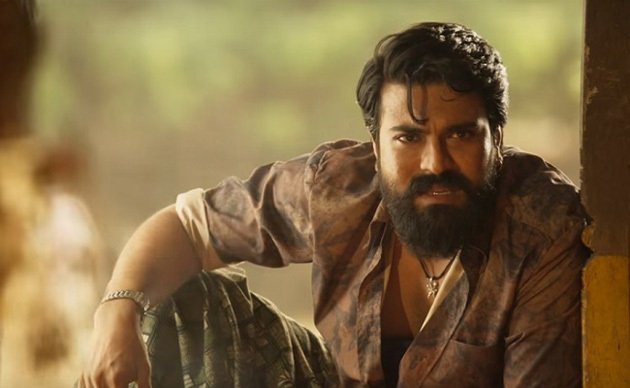 ﻿ Rangasthalam Started The Beard Trend? Telugu Cinema has been changing trends with time and every time a film became a huge success, it changed the course of styling and trends of actors on screen. Ram Charan in Rangasthalam came up with a beard look in a rustic village guy character. Now for RRR he is maintaining a trimmed beard look and for Vinaya Vidheya Rama also he is maintaining a beard look. NTR is also maintaining a beard and big moustache look for RRR. The character demands for him to look very ferocious and bulk, it seems. The fight scene, currently being shot, will introduce both the heros as highly powerful individuals, it seems. In Majili Chaitanya for 90's scenes decided to use bearded look. It won't be as trendy as his Shailaja Reddy Alludu movie, but different from all we have seen before. Sudheer Varma - Sharwanand movie will have the actor in a complete beard look in the elder and Foreign parts, it seems. In Chitralahari,Sai Dharam Tej and Kalyan Dhev in his next movie are coming with beard looks. The actors have even transformed their bodies for the films. Mahesh Babu in Maharshi as a student will appear in Trimmed Beard look. Chiranjeevi in Sye Raa will maintain heavy moustache and beard too. Well, Nannaku Prematho did have the main protagonist with full beard but that doesn't seem to caught up like the bell bottoms in 1970's and jeans, cargos in 1980's and 1990's. Rangasthalam success does seem to have brought the rough look of 90's back into reckoning in the Telugu films, with many heros trying their hand at it.